C is playing organized basketball. Those of you that know him in real life are chuckling at the moment. He’s easily a foot shorter than most of his peers, and he looks far more like a 7 year-old 2nd grader than an almost 11 year-old 5th grader. We managed to get him bumped back to the 4th grade team so he might at least have a chance to enjoy himself. Still, he’s by far the most inexperienced and least skilled person on his team. 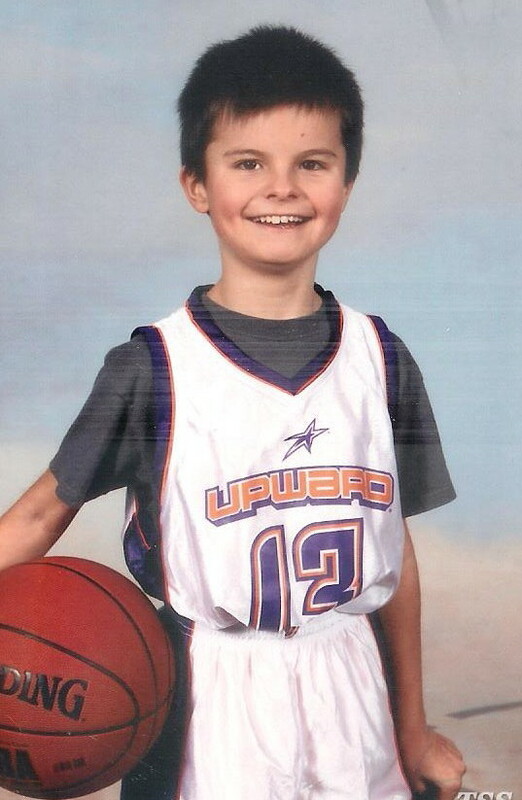 The only reason we agreed to let him play is that this is an organization (Upward Sports – I’m a fan) that is supposed to be a supportive, less-competitive environment. It sounded as good as organized sports can get for C. We were hopeful. Nervous. Worried. All those things plus some. I had to sit on my hands during the first game, trying not to overwhelm C with hand signals and over-exuberance that he was actually staying inside the lines. He had it drilled into his head that he had to guard his guy, and guard him he did – both on offense and defense, and complete with constant jumping to make it harder for his opposing player to actually play. He got the ball a few times and tried to make shots, all failing miserably short of his goal. Still, overall, it was good. C’s team has lost every game so far, and I’m happy to say it’s not completely due to C’s skills or lack thereof. This week, however, C’s team played a team that put all the others to shame. C was guarding a kid who was at least twice his weight, and when C stretched his arms up above his head, the boys were just about the same height. No one had much luck getting inside the scoring zone, and by the last period, we were behind 48 to 20, or something equally awful. Then the amazing happened. With only a few minutes left to go, C somehow ended up with the ball and drove right down the middle of the court. It was like the waters parted, and he made the shot. And then he did it again. And again. And again, ultimately scoring 8 points. What became clear to me in that moment was that the opposing team’s coach, recognizing that there was this tiny little guy trying his best to connect the ball with the hoop, had told his team not to guard C any longer. It wasn’t done in the spirit of, “This kid is so bad he doesn’t need guarding,” but rather, “This kid is trying so hard, let’s help him be successful.” The crowd – from both teams – went nuts. The refs were grinning ear to ear. C was so excited he jumped up and down like a jumping bean. I’m not sure of that coach’s name, but I hope that he knows he did a really, really good thing that day. Somewhere, somehow, that karma is going to come back and get him, and I’m hard pressed to think of someone who deserves it more.